New color trends come and go, but some color combinations are here to stay! 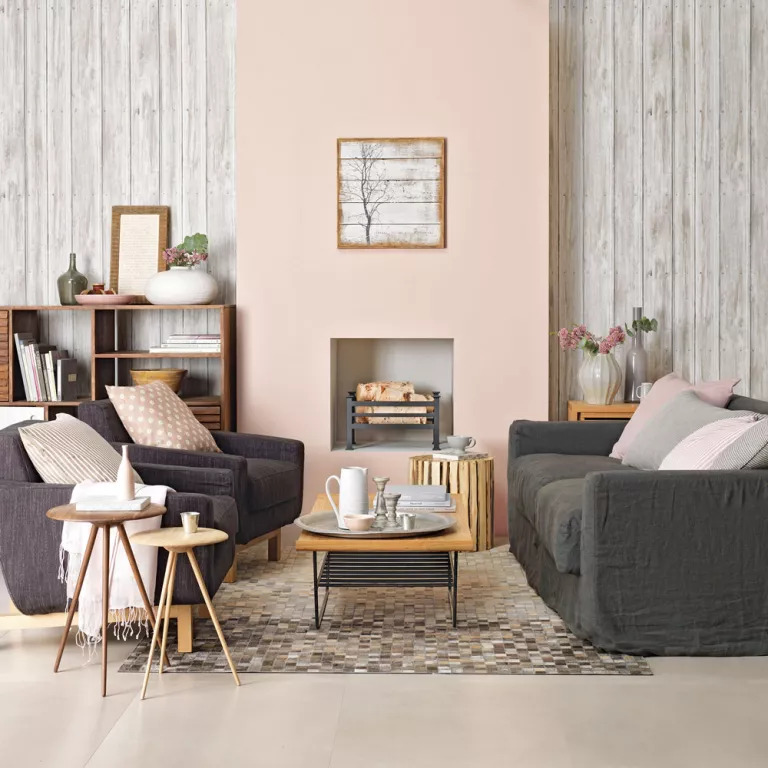 Opting for classic hues will not only save you plenty of money and time on redecorating every two years, but also help you create a timelessly stylish living room you’ll be proud to call your own. So, here are a few color combos that stand the test of time and never go out of fashion. Even though these two colors are very trendy at the moment, interior design experts predict these two colors are here to stay, especially when used together! They are both very neutral, but a perfect way to infuse some subtle femininity into the space. Cool gray is a nice counterweight to the millennial pink or rose and it gives timeless balance to the whole design. Finish the look with a few accent pieces in dark charcoal or coral to spice things up. If you want to create a warm, cozy and welcoming living room, opt for earthy tones like beige or tan and combine them with off-whites. This palette has always been synonymous with relaxation and comfort and it will never go out of fashion. It’s both elegant and comfy, both relaxing and beautiful and both lux and welcoming—just what every stylish living room needs! A monochrome living room is an evergreen interior design style you can’t go wrong with. It’s stylish and simple and perfect for pulling off several popular aesthetics like Scandi and minimalism. You might be tempted to add a few punches of color to this monochrome palette, but this simple setup is best left undisturbed. 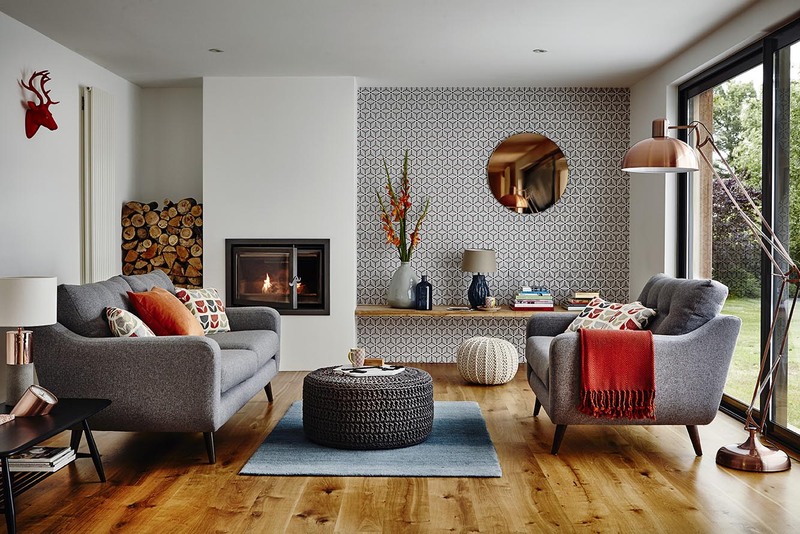 However, what you can do to introduce warmth to your black and white space is put down some stylish floor rugs to boost the textures and add interest. They will both add layers to the room and come in handy during the cold winter days! Finish up the look with an indoor plant for a touch of vibrancy. Even though indigo has a very exotic, bold and moody vibe, this blue/violet hue can be a perfect addition to every living room. It can spice up gray walls and add warmth to white interiors. However, make sure to be moderate when working with indigo! This color is very deep, which means small touches go a long way! A few accent elements like artworks, decorative pillows or statement furniture pieces are all you need to pull off this timeless color combination. Soft turquoise, eucalyptus green and Caribbean blue combined with crisp whites will give your living room a timeless vibe of those chill beach houses everyone desires. When choosing your exact palette, envision sea glass pieces and introduce them to your space. As long as people like the beach and ocean, this color combination will be stylish! If you want to achieve a huge effect in your living room and create a magical vibe, think of jewels. Strong tones of quartz, sapphire and amethyst will wow everyone who enters your home and shower them with the feeling of glamour and luxury. Even the most common furniture pieces and decoration will look extraordinary in these colors. However, even though this color combo is very bold, it’s also timeless and forever-stylish! So, don’t be scared to be daring. Do you want some vibrancy that isn’t overwhelming? Orange is where it’s at! This bright color is a perfect way to introduce some life to charcoal, white or cream living rooms without disturbing a chill atmosphere. Cinnabar orange and turquoise or lime are also a perfect match, especially if you’re aiming for a bolder look! So, add a few orange decorative pillows, create an orange accent wall or opt for more subtle details like small décor pieces. If you’re not super into decorating and redecorating, these classic color combinations will save you a lot of nerve! Plus, you can be sure you made the right color choice that will look stylish in every living room! Lana Hawkins is a young architect and a blogger. She enjoys writing about interior decoration and landscaping. Lana is interested in sustainability and green building, and that’s where she gets most of her inspiration from. Μου αρέσουν πολυ οι αποχρώσεις του indigo με λευκό! Τί όμορφα που είναι όλα! ΣΣΣΣΣΣΜΟΥΤΣ πολλά, ομορφιά μου! Καλό βράδυ!